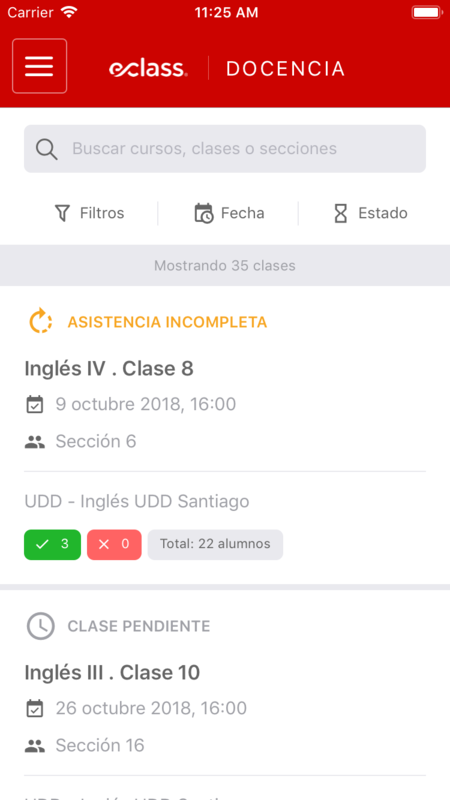 Upon opening a class, you will see the essential information (such as the status of the class and attendance and general information). 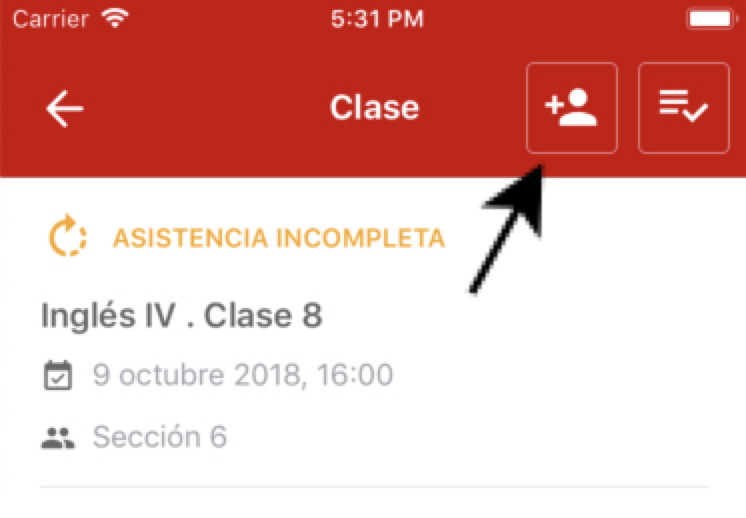 When attendance has been uploaded, information such as the number of present or absent students and the total number of students in the class will be shown. After selecting “present,” a screen will come up where a student’s signature can be recorded. 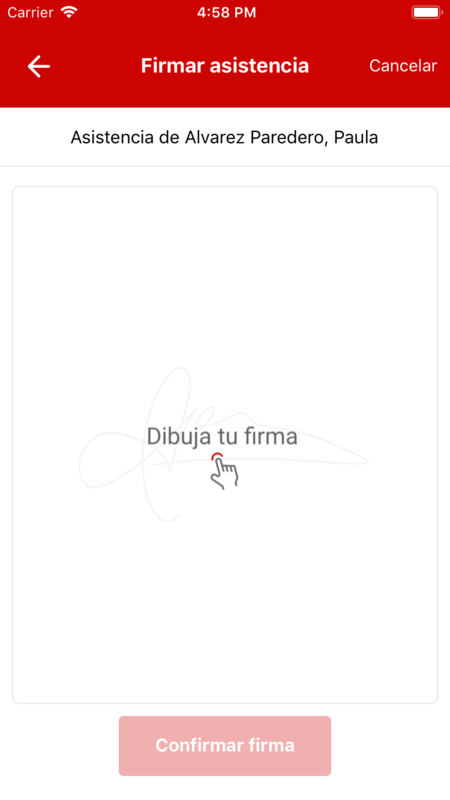 They student should draw their signature on this screen and then press the “Confirm signature” button. 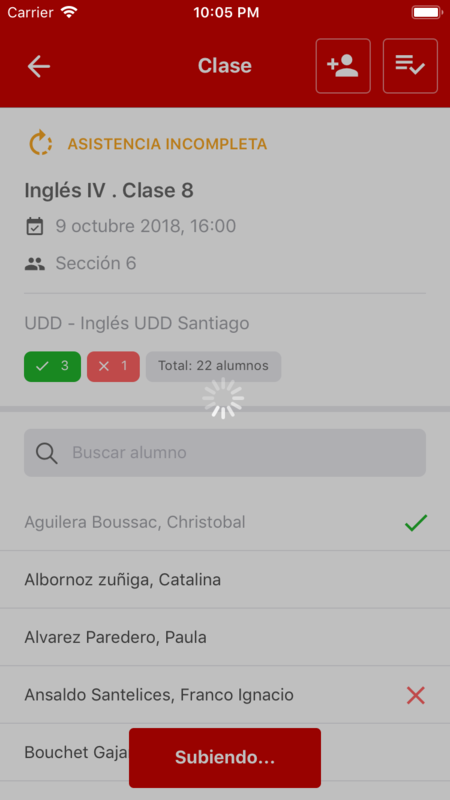 The “Add students” screen will then appear, where it will be posible to add students to the list. Press the lower button “Add student” to proceed. 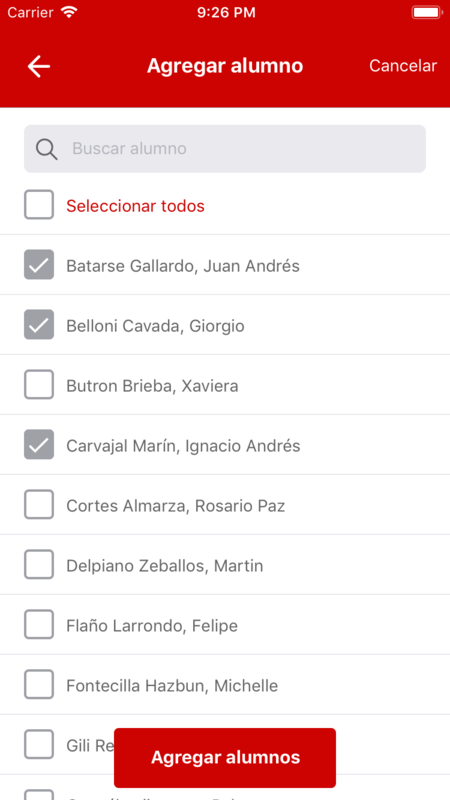 Once you’ve opened the screen, tick each student on the list. Then, assign them an attendance statues (either present or absent). To finish, click the “Save” button. When taking group attendance, signatures will not be necessary. 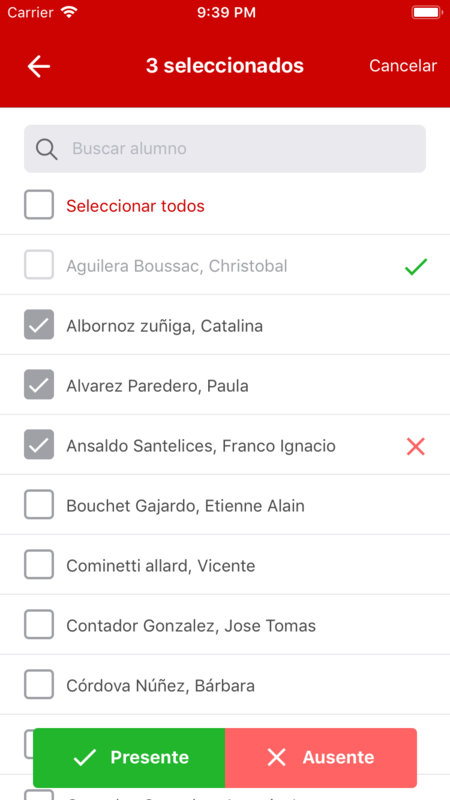 Once you’ve taken the attendance, it will be possible to upload the changes and synchronize them with the cloud. 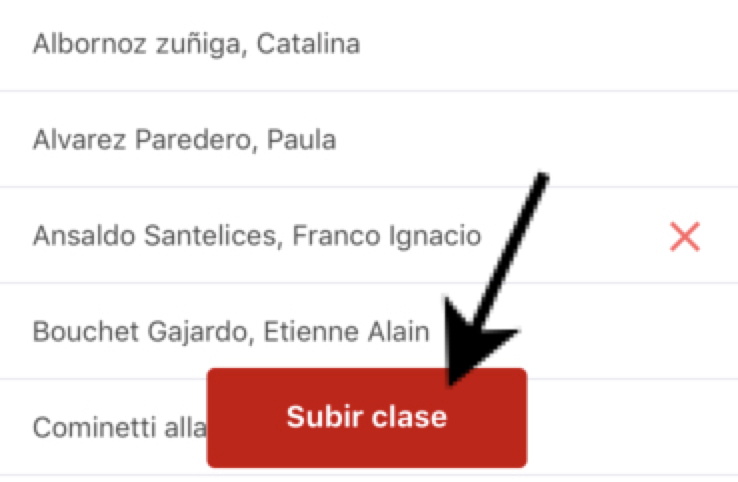 To do this, click on the “Upload Class” button. Then wait for the upload to finish. 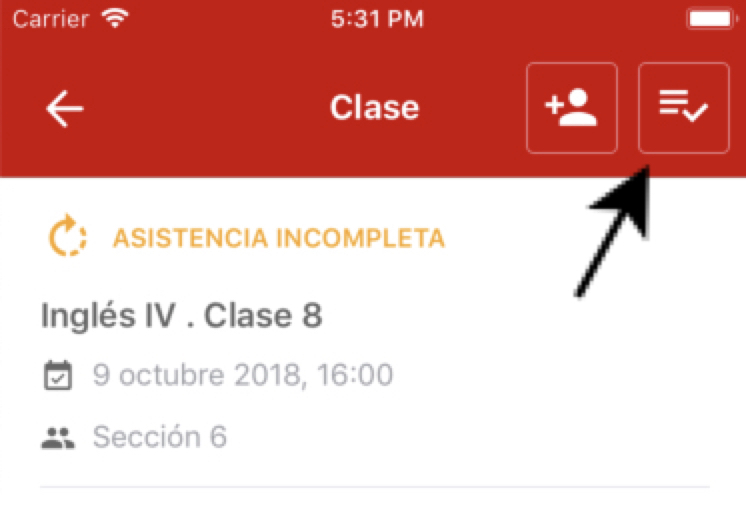 If there are still students without attendance, the status of the class will be marked as Incomplete Attendance. The class will be marked as having Complete Attendance, only if all students have been marked as present or absent. 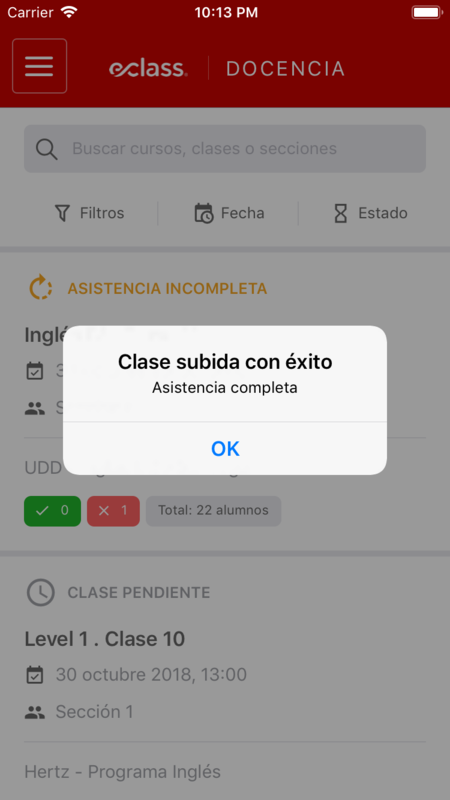 An “Upload successful!” message will pop up when the class has been successfully uploaded to the cloud.